In the last two years the number of visitors setting up tent blockades on the Gulf side of the beach has increased significantly. Groups will setup large tents with chairs and coolers and beach coolers and leave their things in "their spot" overnight for an entire week. Not only is this an eyesore but it is an impediment to turtles during their summer nesting season. The mama turtles can get tangled up in the beach gear and not make it to their nesting spot on the shore. After getting input from the PBA Beachkeepers and an outcry from the people who patrol the beach for turtles and dawn each morning, the the SRIA has implemented a Beach Ambassador program to see if an informal education program could be effective with our visitors, instead of implementing another ordinance that restricts leaving any items on the beach after dark. 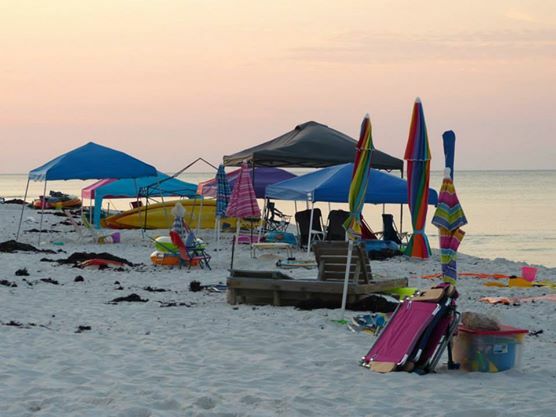 If you own rental property on the beach, please inform your guests not to leave their gear out overnight, to turn off bright lights at night during turtle season and not to leave big holes on the beach. Thanks to Kimberly Blair with the PNJ who has done an excellent job of covering this and other important beach issues. You can read the full text of her article on the Ambassador program in the PNJ.com article. 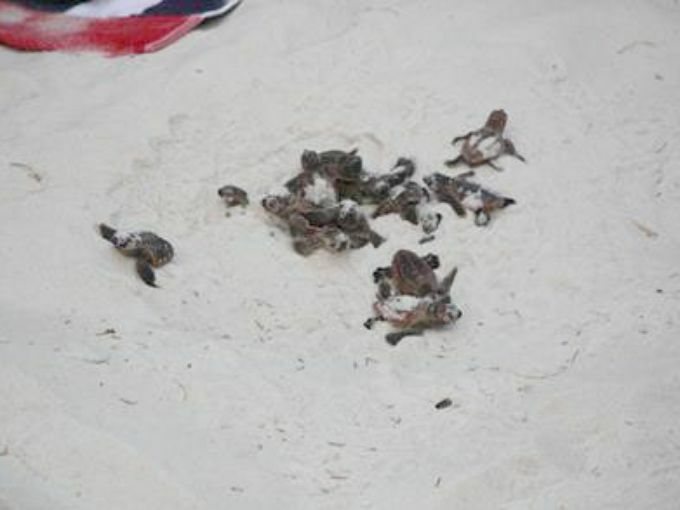 Also if you want to read more about the sea turtles and see some videos of baby loggerhead sea turtles hatching visit the link below. The article was written by PNJ reporter Kimberly Blair and the videos taken by beach resident, PBA member and turtle patroller DJ Zemenick. Voters on Pensacola Beach will choose their elected representative on the Santa Rosa Island Authority during the General Election on November 4th. This is a non-partisan election. The Santa Rosa Island Authority is comprised of six members. Five are appointed by an Escambia County Commissioner and one is elected by the voters of Pensacola Beach every two years. The elected position can only be filled by a Pensacola Beach resident. The Santa Rosa Island Authority’s composition was amended from five appointees to include a sixth elected member in 1983 by the State Legislature. Pensacola Beach businessman McGuire Martin won the first election. Dr. Thomas Campanella is the incumbent and will face Terry Preston in the November 4th General Election. Dr. Campanella, a local dentist, has been on the SRIA Board for 12 years and lives in Villa Sabine. Terry Preston, a safety and environmental specialist and leasesholder since 1979 is currently serving as the President of Pensacola Beach Advocates. Look for more information on each of the candidates in upcoming newsletter. The Santa Rosa Island Authority’s composition was amended from five appointees to include a sixth elected member in 1983 by the State Legislature. Pensacola Beach businessman McGuire Martin won the first election. Beach residents did not have any elected representation on the SRIA until 1983. It is important that we all exercise this important right to choose who represents us. Make plans to vote on November 4th – in person at the Beach Community Church, in person at the Election Supervisor’s office or by absentee. You must be a resident and registered voter to participate in the election of this SRIA position. Get more information on www.escambiavotes.com. Escambia County Tax Collector Janet Holley just reported that the tax bills will be mailed to Pensacola Beach residents on June 25. The deadline to pay the taxes - which were previously the topic of a court battle - is July 25. On July 26 the interest owed will jump from 12% to 18%. PBA mailed a printed survey with our March 2014 newsletter to 3500 leaseholders in March. The survey is open to all stakeholders on Pensacola Beach - regardless of your membership status in Pensacola Beach Advocates. Tell us what issues are most important for us to work on this year. We will close the survey on April 30th.